It's the early autumn of 1924 and Rose's father-in-law Lord Sinderby has rented Brancaster Castle in Northumberland and invited the Crawleys to a grouse-shooting party. However, the Sinderbys' butler Stowell has an axe to grind and a scandalous secret threatens to derail the holiday. Back at Downton, the servants hold the fort and unlikely later-life romances abound, while Bates takes drastic measures to clear Anna's name as she faces an uncertain future behind bars. The seasons change and another Christmas is enjoyed at the Abbey, where a heartbreaking farewell and a joyful reunion take place. 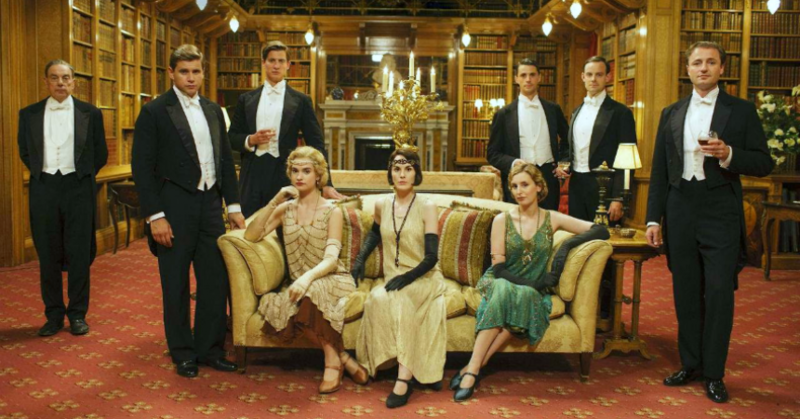 The bittersweet news is that there will be no new Dowton Abbey's till November 2015, so we can begin to turn our attention to other inspiring books and films once more! Of course, as the Dowager Duchess says: "Oh all this endless thinking, it's very overrated."